Mix and Chic: A designer's attic-turned stylish bathroom! A designer's attic-turned stylish bathroom! 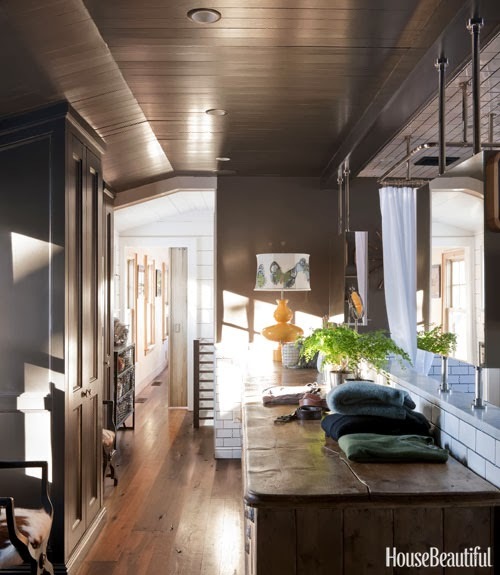 Check out how designer Dan Ruhland transformed his attic space into a stylish, masculine bathroom in his New Jersey farmhouse. 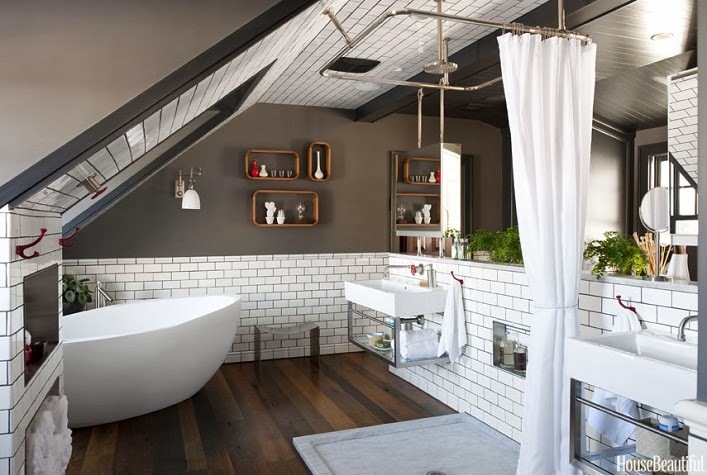 Masculine, moody and refreshingly chic, this attic room turned bathroom and dressing room is truly fabulous and inspirational. 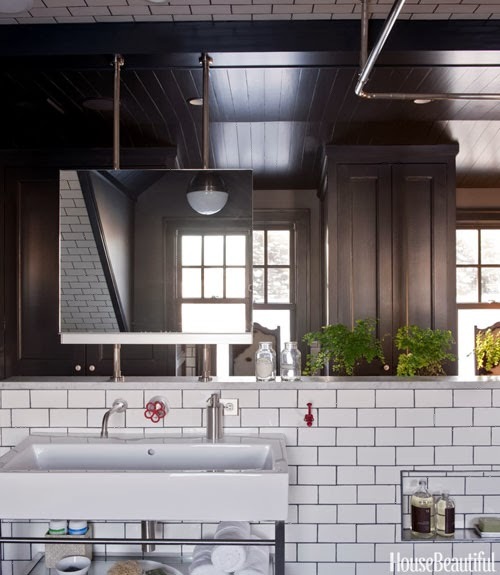 I really like how the white subway tiles runs from the walls all the way up to the ceilings creating an unexpected and bold design statement! Do you enjoy checking out this fantastic bathroom as much as I do? Wow this is magnificent. 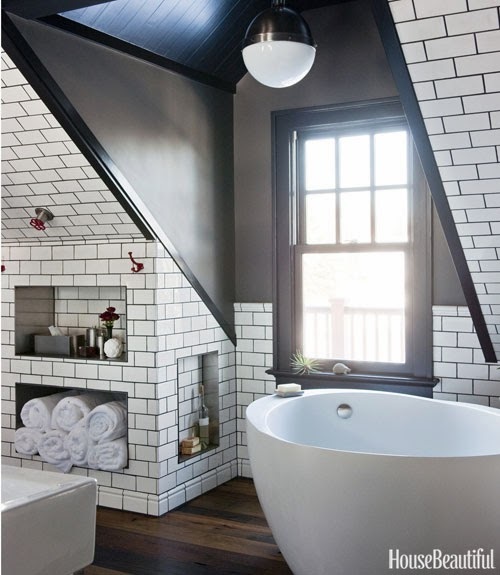 Love the standing shower in the middle of the room and how is it that the subway tiles to up to the ceiling too! Very fluid and open. Gorgeous! I could sleep here even! Very well done. Excellent use of space while maximizing style and function. Masterpiece! Guest post- Silk For The Ultimate Nights Sleep! Cool designer alert- Cynthia Collins! Home tour- A fresh and stylish Madrid apartment! Home tour- A fashion designer's bohemian home! 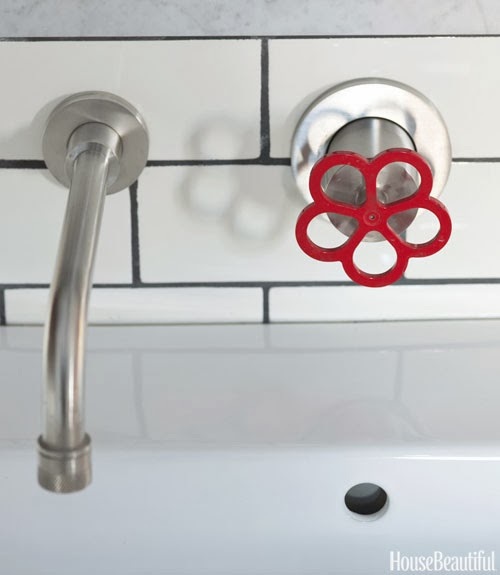 Cool design firm alert- CWB Architects! Guest post- How To Create A Rustic Dining Room! Home tour- A stylish and glamorous Spanish home! Home tour- A beautiful seaside retreat! Home tour- A stylist's charming Asheville home! Cool designer alert- Lynne Scalo! Home tour- A designer's luxury Chicago penthouse!